Located on the slopes of the Sierra Cortina Mountains with spectacular views of the Mediterranean, Barcelo Asia Gardens is a real jewel in the crown for Spain. My all-time favourite spa resorts have always been in the Far East and I was amazed by Barcelo Asia Gardens from the second I drove into the resort where I felt I was transported into Asia. The hotel is absorbed within a natural environment that boasts over 150,000 exotic plants across its tropical gardens. 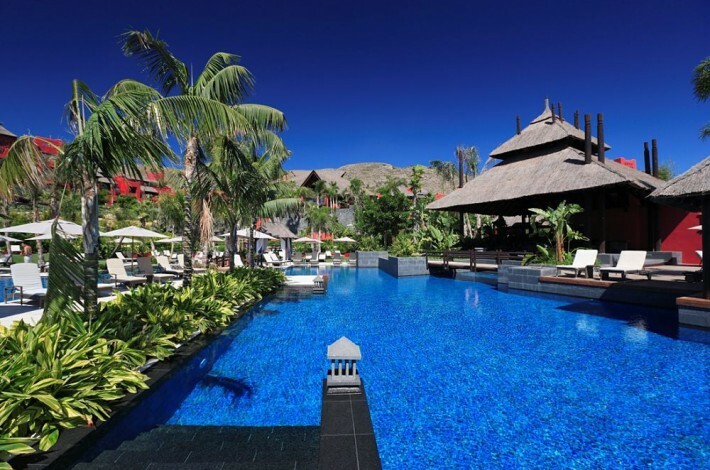 There is an Asian theme throughout, from the luxury Thai Spa and Balinese style rooms to the restaurants and the awe-inspiring foyer of the Hotel. Barcelo Asia Gardens is the perfect solo or couples retreat and I would be surprised anyone would want to venture out of the resort. The four themed restaurants boast fused gastronomic delights from the Far East, Mediterranean and international cuisine. The influence of Asia is all around you and the Thai Spa is no exception. It caters exceptionally for couples to experience the holistic spa together and rebuild a bond of relationship through relaxation, spiritual and physical wellbeing. The classes are also a must for travellers to energise yourself through yoga, tai chi, pilates or the aqua gym. Of course, a special treat for couples is the infinity effect swimming pool (not to be missed!). The genius who created Barcelo Asia Gardens must be commended by bringing a taste of the Far East to a ‘stone’s throw away’ for all of Europe. In fact, on any given day, you could be having breakfast in London and by lunchtime experiencing this award winning spa resort! Flight travel from London is under three hours and Alicante airport is approximately thirty minutes away from the resort. A fabulous experience all round and one of the best short haul destinations I have ever seen.